Nazih K. Shammas is currently a consultant, book editor and author. He has been an environmental expert, researcher, professor and consultant for over 40 years. 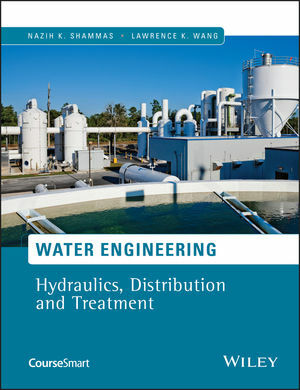 He was Dean and Director at the Lenox Institute of Water Technology and consultant to Krofta Engineering Corporation. Nazih Shammas is recipient of a Block Grant from the University of Michigan, First Award for best thesis of the year from the Sigma Xi Society, Commendation from ABET, and the GCC Prize for Best Environmental Work. For the last 10 years, his biography is included in 5 of the Who’s Who Publications. He is the author of over 250 publications and 20 environmental engineering books. Lawrence K. Wang is currently a consultant to industries, municipalities, and the US Federal and local governments. He has been a facility manager, design engineer, inventor, professor and book editor for over 45 years. He was acting president of The Lenox Institute of Water Technology and Engineerng Director of Krofta Engineering Corporation, as well as a recipient of the Pollution Control 5-Star Innovative Engineering Award, the NYWEA Kenneth Research Award, and the Korean WPCA Engineering Award. He is an inventor of 29 US and foreign patents, and an author of 700+ scientific papers, and 40+ engineering books.